Mistakes are a part of life. If you don’t make them you won’t learn if you never learn you’ll never improve !!! 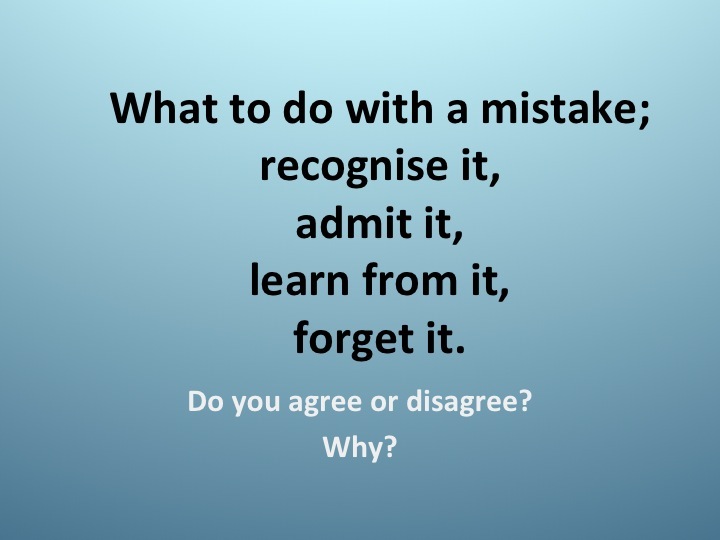 I agree with ‘recognise it, admit it, learn from it’ because we should do them. But I disagree that we should ‘forget it’ because we wouldn’t remember what we shouldn’t do.